The era of gaming has offered you the best of the consoles to play games but the feeling you get in playing the games is in the computers. That amazing feeling offered by the computer gets enhanced when the game gets connected to our friends through LAN or the internet. Sometimes the game is so interesting and gets more intense you wish that can be recorded and watched later on to re-live the memories or may be letting any other person learn the moves. There rae various applications available for the smart phones but your computer lacks behind in this case. But don’t you worry for this, we are here with the 10 best game recording software available for your windows PC and can be accessed very firmly, to let you record the game and have it saved into your system for later purpose. Game recording softwares refers to the application which help you to record your screen if the computer while you are playing games with your friends, some applications record it and later you have to watch it and many come with the option of streaming it live alongside you are playing the game and have your followers enjoy the moves. Mainly these applications are used by the player playing counter-strike, PUBG, FIFA and many more. These helps them to see what was the purpose they lost or if they were good, other could have a look over it. Bandicam screen recorder is the user friendly screen recorder which offers the great sense of recording ability with high resolution and clear frame rates. This screen recorder comes with less file size and can be installed very easily. Though being small in its own size, recorder can record large videos of small size of games and any activity performed in the computer with all the compressed feature actively applied to the video. The output of the video is high in bitrates and frame rates which is perfectly done for the games depending on the graphics of the game. The video can be customized as per the requirements, you can even change the resolution from normal to HD. Can resize the video definition. Compression can be done within the program. Built with two capture mode. User could bear high cost. Video output could be bit laggy. 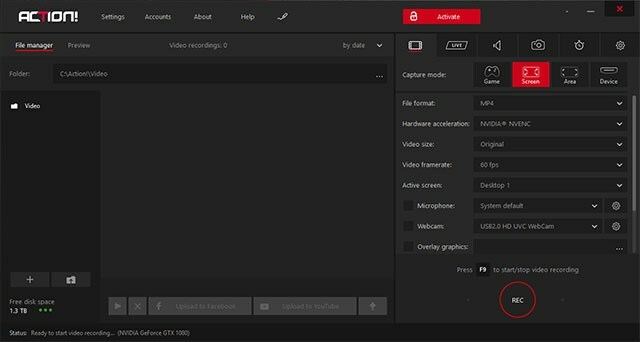 With the great success in the fields of graphics and the processor, AMD has come-up with the computer screen recorder for the gamers who want to record and stream there playing as a case of tutorials. The recorder is named as AMD Re-live, it is the high quality screen recorder for the desktop and most suitable also. After gaining name in the fields of graphic cards, AMD is now is in try of ruling the computer screen recorder. No matter if your playing on 720p or 1080p you can have the framerates and bitrates of approx 4000 UHD. available in the genre of AMD GPU then you should be using it for your purpose of recording the screens of the games. Set-up and installation is easy and is easy to use. Upscaling can be done for the video output. Only supports the system with AMD GPU. Not expected because of limited features. When the worst competitor of Nvidia, AMD has come up with the computer screen recorder then do you really think that Nvidia will be staying behind in these processes. 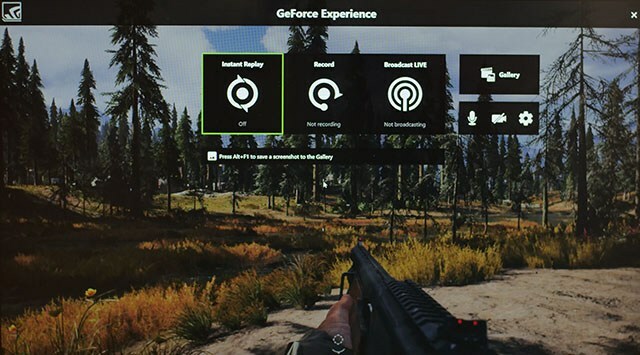 Nvidia Geforce Experience is the new best suit for the screen recorder for the gamers who love to stream. Not only in the case of updating the Nvidia drivers, the Nvidia has come up with inbuilt feature named as shadowplay, which runs in the background and records the screen and offers the best framerate and bitrates of the output. One more thing that brings Nvidia above of the AMD is the resolution it offers, no matter you are playing in any format, the video output will be in the same format let it be 1080p or 4000 UHD, the output will be same. The setup is available for free. Runs only if the Nvidia’s GPU is installed. Lacks in the features that user looks for. 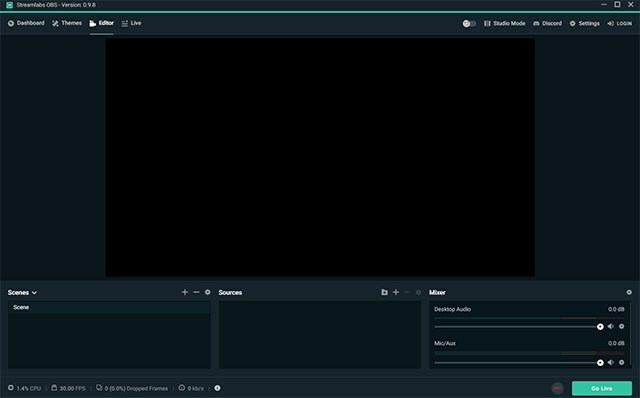 If you are looking for a simplified version for OBS, which has user friendly interface than the streamlabs OBS is the best option for the noobs like you. A newbie is always confused if you offer him the complex interface whereas streamlabs OBS is the simple and basic interface for the purpose of recording and streaming your videos. Recorded through this recorder and taken as the high resolution, all the videos output are as per the framerates and bitrates in which the game is being played. The better feature than this is that it allows the user to download and customize the various recording tools directly from the company’s website without the process of adding urls separately. It can be considered as the compressed and simplified version of OBS with lots of amazing features that can be accessed very firmly. Various plugins can be installed. Store and saves the cloud settings. Installed plug-ins may create problem when number is increased. Only beta version is available. Dxtory is another one of the best tools among all. It is quite very simple, straight forward codec and the lightest a computer can handle of. Using the recorder can easily help you with its many features and the features which has brought light to it is it can allows you to record the two sounds simultaneously and can be edited separately later on, one is the game sound and other from the microphones and the time you want some editing to it you can do it with ease. Straight forward codec allows you to set all the videos settings from frames per second to size quality and the quality you as the video output will offer you the same quality and other preferences. Require a formal use cannot be used casually. 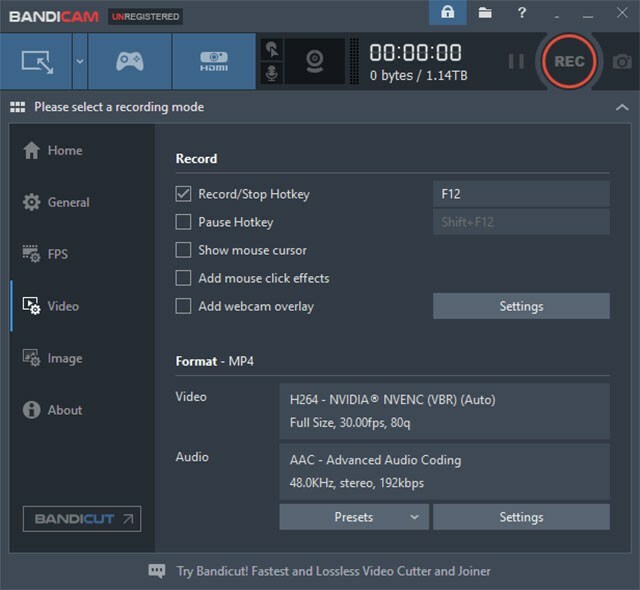 If you are looking for a features packed solution for your problem of having the video recorder that can also be used as streamer than you must use XSplit GameCaster. Even this program is widely used by many popular streamers and the features of the program is reason for its popularity. 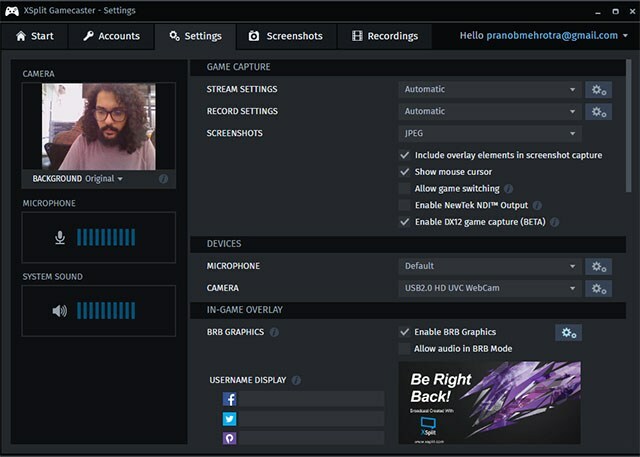 XSplit offers a single button recording system which takes the capture and adjusts the frames and bits according to the screen of the game you are playing. Moreover that it includes features of watermarks, video annotation, social media integration and many more. 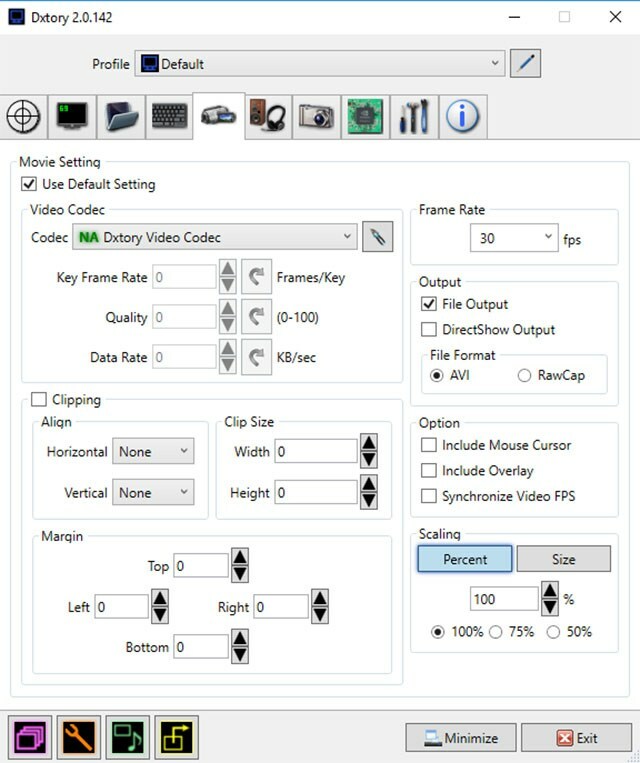 Such features bring life to the streamers which helps and allows them to edit video while streaming. Free version comes with amazing features and is sufficient. On a single click, you can stream on any platform you want to. After installation service is quite helpful. Premium features are accessible at the time of upgrading to monthly subscription. Paying for the advanced version would be costly after some time. Another feature rich computer screen recorder that helps you to record the the high resolution video and stream it live online on the popular streaming channels such as youtube, twitch, livestream etc. Action! Can be the best of the screen recorder which no matter offers you the 4000 resolution of the video frames and works with any GPU. By the time it has come up with the huge amount of features one thing is taken to consideration that it puts very less pressure on the CPu and works very firmly with all the support. You can even use the feature time shifting but it has been introduced as to the limited extent. The video output is later editable and can be presented for sharing. Video payback can be done in high resolution. File sharing can be done in several ways. Storage is occupied in large amount because of high framerates. Even the frame rates cannot be adjusted. If you are running a windows system then you must mark my words in sense of using Windows Game DVR as your basic and primary computer screen recorder and streamer as it becomes easy for the windows driver to grasp the command even through the shortcuts what windows has provided to us. Even the windows offers the inbuilt screen recorder but you cant stream over it, hence you just have to install and add shortcut as (win + alt + R) which is a default shortcut and you need to add your preferences according to it. Later when you play games you just need to command (win + G) and rest is the work of the customization made for the quality and size of the video you want, it could be 30 frames per second or 60 frames per second. Even the quality can be adjusted for 720p to 1080p all can be done easily in the software. Inbuilt presence in the windows 10. Features available are very limited. Only present in windows 10. D3DGear is a simple and direct screen recorded which offers the straight forward recording customization which just asks for the single click to start the process of recording. Rest is done by the software. It has in-built video compression system which allows the user to see the video which has been compressed in real time purpose. Which clearly indicates that if the computer is low in storage then also you can see the video and have it for the streaming. Seems very light weight which sometimes confuses the user to trust it or not but i would say you must give D3DGear a try. Easily can be used to stream on popular channels. Can be used easily by any type of user. Features offered are limited to be improvised. Outdated looks and the interface may bore the user. 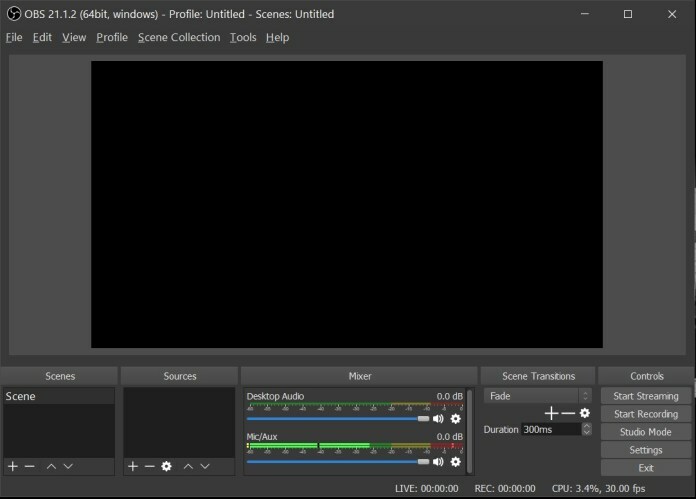 Last but not the least as this could be the best of the software in the list, open broadcaster software or OBS is the best tool for the gamers out there and most of the gamers would be using it as it offers the numerous features to the user. 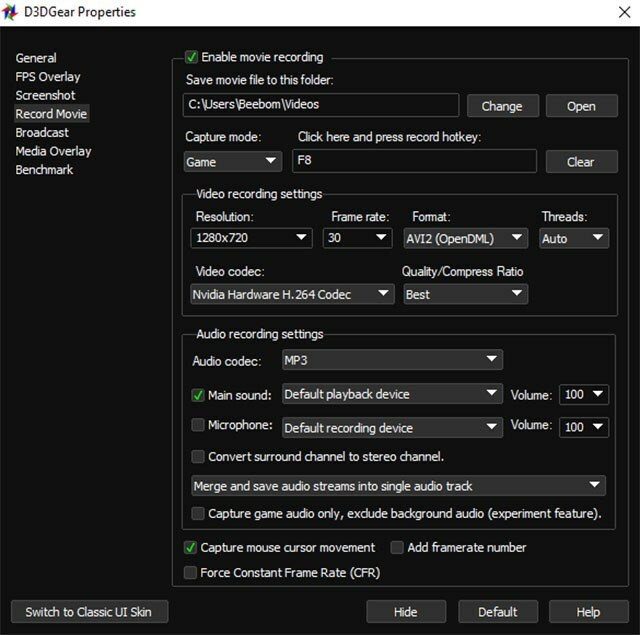 Being straight forward user just has to select the source of recording and can start both recording and streaming together with the OBS working in the background. It is the high resolution video which is taken out as the output and could be in any format may it be MP4 or any other. We can have the ratio of FPS and BPS equal to 1:1 which is relatively the best version. The software is loaded with features inclusive of picture-in-picture, watermark etc. Experience is enhanced by various plugins installed. Available as free and open source. Huge community supporting the live streaming. User interface is not acceptable by the user initially. These were the best of the computer screen recorder for the purpose of recording and streaming games. You can use it and can stream the video while playing games and may entertain your fans in relation to make them learn the game or see what is to be done at what time. Do let us know which are the Games you stream and record for your fans and what are the channels you follow for the purpose. Leave your thoughts in the comment section below and let us know what are more things you are looking for.